I have always been an avid Muse fan. From ‘Showbiz’ to ‘The Origin of Symmetry’, from ‘Absolution’ to ‘Black Holes & Revelations’ to ‘The Resistance’. Like most Muse fans when ‘The 2nd Law’ was announced, I watched the album trailer and was excited to hear Muse’s latest offering. However, after trawling forums and fan sites to see what others thought, I found that ‘Muse Go Dubstep’ was met with horror as well as excitement. 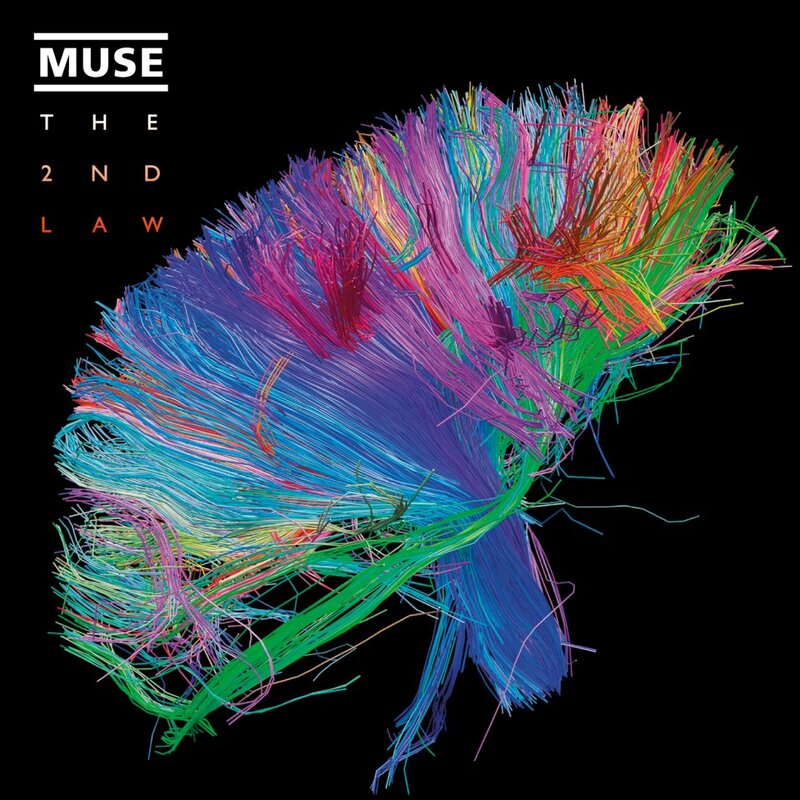 ‘R.I.P Muse’ was written by those who felt that their experimentation had finally gone too far, that ‘The 2nd Law’ would be a disaster. But, like the unashamed Muse fangirl I am, I had faith, and they certainly haven’t disappointed me. ‘Supremacy’ opens the album and is a majestic track of orchestral hysteria in which Bellamy declares; ‘Your true emancipation is a fantasy’. I really like the drama this song imposes on you. To me, it is a cry for battle, the rallying of troops; the marching percussion whispers softly in the background and we know that; ‘The time, it has come, to destroy, Your supremacy’. One of the stand-out tracks for me is ‘Madness’ and demonstrates Bellamy’s continuous ability to write powerful, innovative lyrics. Describing his inspiration for ‘Madness’ Bellamy stated; ‘You’ve had a fight with your girlfriend and she goes off to her mum’s house for the day and you’re on your own going: ‘What did I say? I’m sure a lot of blokes have that experience in the early stages of relationships where you go, “Yeah, she’s right, isn’t she?”’ The accompanying video to this song complements it perfectly. When Bellamy sings; ‘I have finally realised, I need to love’ the video breaks into beautiful chaos and is well worth checking out. The stand-out track for most seems to be ‘Panic Station’ which is actually the very first album track Matt has sworn on, and only the third in Muse’s whole discography. At the beginning of ‘Follow Me’, you can hear a heartbeat, and that heartbeat belongs to Bingham Bellamy; Matt Bellamy and Kate Hudson’s son. Strange maybe, but this song is Bellamy’s ode to fatherhood and is actually a really cool track that incorporates upbeat melodies with hard bass, co-produced by dubstep duo, Nero. What is very interesting about this album are the two songs penned and sung by Chris Wolstenholme. ‘Save Me’ is a refreshing song that warns; ‘Don’t let go, I need your rescue’, and pleads; ‘Wait just a while, while I’m drowning in denial’, indicative of Wolstenholme’s battle with alcoholism. Coming from the man himself, Wolstenholme describes ‘Save Me’ as; ‘having a difficult time and having a person in your life who can pull you through – my wife, in my case’. ‘I am nothing without you’ is a line that could so easily fall into the trap of ‘cheese’ but Wolstenholme and Muse pull it off as a striking reminder about finding stability through the person you love. ‘Liquid State’ is a much more rock-filled offering that touches upon similar themes. I interpreted it as fight between two entities, one good and one bad; one of them will ‘Warm my heart tonight’, the other will ‘Watch as I lose my soul’. The last two tracks on the album; ‘The 2nd Law: Unsustainable’ and ‘The 2nd Law: Isolated System’ are nothing like Muse have ever done before. But, the multiple voice-overs from news-readers and scientists, mixed with the ominous music, makes for two very powerful tracks that had my spine tingling. Some Muse ‘fans’ will say that ‘The 2nd Law’ is so far away from ‘Showbiz’ that it isn’t ‘Muse’ anymore. I disagree. Like everything else, music has evolved and is always evolving. This is why Muse are one of the best bands in the world; they know that to never take risks, to never experiment, is ultimately, ‘unsustainable’. Today, I am going to talk about a successful musician from Essex. Now, you may think that there is nothing particularly original, innovative or special about that. 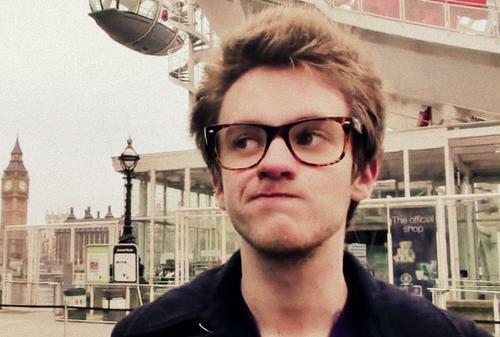 But let me tell you, Alex Day is different. On paper, many record labels would have sneered at his chances of success. He promotes his music through YouTube, allows fans to use and listen to it for free on his website, releases multiple songs at the same time, and continues to remain an unsigned artist despite interest from the record industry. Yet Day still manages to get his songs into the charts; not only in the UK, but all across the world. I have been a subscriber to Alex Day’s YouTube videos for about two years, and in that time I have watched, along with over 500’000 other subscribers, his music career develop. My favourite song of his is ‘She Walks Right Through Me’, a catchy song which has a great music video attached to it. I wanted to know more about his music, so I caught up with him and asked him some questions. What are your main inspirations when writing songs? It really depends on the song. ‘Good Morning Sunshine’ was written on the first day of summer, so it felt warm and I missed the sunshine, and I turned that into a song that later had deeper meanings, but that was all the initial spark was. How many songs have you currently got in the pipeline and can you tell me anything about them? Ooh, yeah I have a few – there’s one called ‘Stupid Stupid’ that might be a future single; it’s very silly and fun. And then there’s one called ‘I’ve Got What It Takes’ which is quite modest and sounds quite sweet I think. And there’s a song called ‘Tonight’s The Night’ which is a mix of ‘Moves Like Jagger’, ‘Wannabe’ and ‘Livin La Vida Loca’. Do you have any plans to do a live tour and if not, do you think you’ll do one in the future? I’m not planning on it right now but I’d like to in the future, definitely. It just depends on making sure I can go to enough places, because usually when I announce dates it’s just disappointing that I can’t go to all the other places where my audience are, and I feel like I exclude more people than I engage. What’s the best piece of praise you’ve had about your music? Stephen Fry said he ‘couldn’t stop humming’ my single ‘Lady Godiva’, which was quite flattering. How do you think you’ll achieve your goal of making it to #1 in the charts by 31st December 2012? By working bloody hard and doing everything I possibly can! I’ll give it my all and then at least I won’t regret it if it doesn’t work out. But I intend for it to work out! When ‘Forever Yours’ charted at #4 in the UK, Day donated some of the proceeds to World Vision, the largest overseas aid charity. No one would have kicked up a fuss had he kept all the money to himself. So why did he give some of it to charity? Basically I earn too much! Forever Yours got to #4 in the charts – that’s 50,000 sales – I don’t need that much money, I can pay for my house every month and I can eat, beyond that I might as well give some of it back to people that need it. Obviously music is Day’s primary interest but I also love his YouTube videos. There are so many good ones that it is hard for me to pick a favourite. 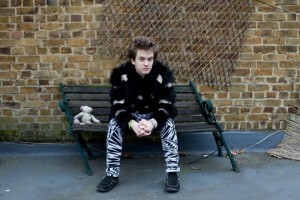 He told that me that his are ‘Alex Day’s Ghost Hunt’ and more recently, ‘The Woman At Reception’. Some of mine are ‘Life in a Day’ where he documents a typical day in his life, ‘Record Labels Are Rubbish’ in which he gives some of his reasoning behind his decision to remain unsigned, and more recently ‘Alex and Hazel’, which features one of his friends. Another thing I was interested to know were his feelings on being asked personal questions in interviews. Within the comments on most of his YouTube videos there are often people asking whether he has a girlfriend, linking him to girls that appear in his videos, and generally speculating about his relationship status. So how does he feel when people ask him questions regarding personal relationships? Annoyed, amused, indifferent? Amused, definitely. It’s fun seeing everyone speculate about whether I’m with someone or who it might be, and a lot of the time I wind them up or outright lie just because I don’t understand why they let themselves care so much. Beyond that I’m not really bothered. I don’t feel like I owe anyone an explanation to anything in my life that they don’t already know; if I don’t choose to share it, it’s not anyone else’s business to learn. What does Alex do in his spare time? Mainly just the same things as other people; I’m pretty social, I see friends a lot, I listen to a lot of music, I occasionally build Star Wars LEGO sets and I play a lot of Magic The Gathering. So that’s Alex Day. His work ethic is to be admired. At only twenty-three years old, the boy is going places, yet he still manages to maintain that personal relationship with his fans through his YouTube videos. To thank everyone that bought ‘Lady Godiva’, which charted at #15 in the UK, Day made personalised thank you videos and sent them to each individual person. How did he celebrate finishing the last one? I went to my local swimming pool and sat in the Jacuzzi for half an hour, not moving, just enjoying the bubbles. It was wonderful. I first stumbled upon A Band Called Quinn through BBC Serial Drama, Lip Service. 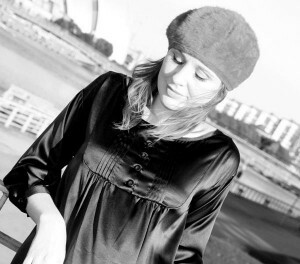 Described by Scottish pop pundit Jim Gellatly as ‘Scotland’s Best Kept Secret’, this Glaswegian quartet, consisting of Louise Quinn, Bal Cooke, Robert Henderson and Steven Westwater, produce a unique, fun brand of electro, indie pop that blurs the boundaries between music, film and theatre. The woman at the forefront of this band is Louise Quinn, and her voice is like silk. It’s literally beautiful; the kind of voice you could listen to for hours, tirelessly. I managed to speak to her and get an insight into the songs she writes and sings so skilfully. What aspect of the music process do you enjoy most, and why? I think I really enjoy the songwriting part the most but I’m always distracting myself from doing this with all the other aspects of performing; making music videos, promotion, etc. I used to give myself a hard time about this but I just sort of go where the flow takes me these days, so if I end up doing more film-making than songwriting it’s still a pretty great way to get my creative jollies, and it all feeds back into everything else. It says on your Facebook that A Band Called Quinn’s influences are love, war and biscuits. But what are your inspirations when songwriting? Inspiration for songs can come from anywhere. Quite often I wake up with a melody or lyrics in my head which can be quite frustrating if I’m too tired to get out of my bed and record them, and they just disappear back into the ether to bother some other singer/ songwriter. If I’m in a really deep phase of song writing I like to write in bed with no distractions. The last album I wrote was The Beggar’s Opera which came from Vanishing Point Theatre Company’s reinterpretation of the John Gay classic. It was a cross between a gig and a play and the bands were acting in it. I got to explore some pretty dark aspects of myself as an artist and songwriter. We’re doing another show in October with Ben Harrison (Grid Iron) called Biding Time (remix) and again it’s been great to write with overarching themes and characters in mind. What is your favourite A Band Called Quinn song, and why? ‘Ghosts From The War’ which we’ll be releasing ‘officially’ in November on our new album, Red Light Means Go. I just like this song because I was in a really good place when I wrote it. One of those moments in your life when you think everything is as it should be. I’d just come back from a camping trip in Banff (near where they filmed Local Hero) and all the scenery and seagulls just knitted themselves into this song. By speaking to Louise I was able to get a better understanding into what motivates such talent, thus producing music that lies firmly in my ‘Top 25 Most Played’ on iTunes. Some of my favourite tracks from A Band Called Quinn are The Recital Room Mix of ‘Wolf Cries Boy’, which actually features vocals, percussion, kazoo playing and howling from sixty secondary school students across Glasgow. My favourite song is ‘Mrs Traipse Song’; possibly one of the sexiest tracks I have ever heard. Beginning with the line; ‘Give me the man and I’ll show you the boy’ the song uses thumping percussion to create a stomping, self-assured tune. ‘DIY’ is a really catchy tune that showcases A Band Called Quinn’s versatility and ‘Snowblind’ is another one of my favourites; a Christmas track that instantly puts a smile on your face. Their latest project; Biding Time (remix), which they’ll be performing at The Arches in Glasgow on the 6th of October is based on an original script by Pippa Bailey and deals with the theme of women in the entertainment industry and the pursuit of fame. Their version is a gig fused with film and performance to tell the story of the main character, Thyme, and her journey through the fame factory. Their latest short film/music video ‘Oh Jackie’ also draws on similar themes and features Parisian producer/DJ, Kid Loco. I seriously cannot heap enough praise on A Band Called Quinn; they are so cool, produce brilliant music and with endorsements from Britain’s best selling crime writer, Ian Rankin, to Queen of Pop, Madonna, it seems I am not the only one who thinks they are something special. In June 2012, Rob Swire, producer and lead singer of Pendulum, announced on twitter that there would be no further Pendulum live shows and no current plans for a new album in 2013. Having been seriously impressed with their third studio album, ‘Immersion’ and seen them put on an incredible live show at Nottingham’s Capital FM Arena, I was disappointed to learn of this news. When asked why Pendulum were splitting, Swire responded; ‘We’re having too much fun with the Knife Party project. It’s also great because Pendulum towards the end sort of felt like we were doing it because we had to and that’s never a fun way to do music. Whereas Knife Party is pretty much solely us doing what we want to and if no one likes it we don’t care’. 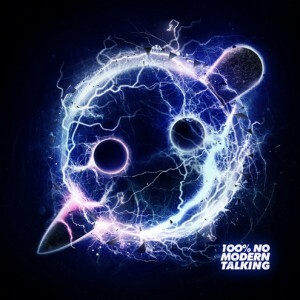 So I decided to listen to his new project, Knife Party; an electro house/dubstep duo founded by Swire and fellow Pendulum band member Gareth McGrillen, to discern whether they were worth Pendulum splitting up. Their first EP-‘100% No Modern Talking’, released in December 2011, established them as a powerhouse of hard hitting, eclectic, aggressive EDM. For me, the standout track is ‘Internet Friends’; an exciting tune which features outstanding, horror movie style build-ups, followed by great, satisfying drops. However, what is most unique and interesting about this track is the entertaining script throughout. A bunny-boiling female voice poses threatening questions at the beginning; ‘Surely we can be friends?’ and ‘Is she hotter than me?’ which become more and more ominous as the track progresses, culminating in the pronouncement; ‘You blocked me on Facebook. Now you’re going to die.’ This makes for a really fun track to listen to and I was instantly impressed. ‘Destroy Them With Lazers’ begins with a panicked, synthesised heartbeat that really works you up, and continues with video game-esque sounds that keep you in the mood. ‘Torniquet’ is a hard hitting tune that would certainly be well received in clubs, however I couldn’t help but lose interest halfway through. In ‘Fire Hive’, a track of floor-shaking bass and eardrum-shattering drops, I recognised layers of sound reminiscent of Pendulum’s ‘Tarantula’. All in all, I was impressed with ‘100% No Modern Talking’, but not enough to accept the split of Pendulum. 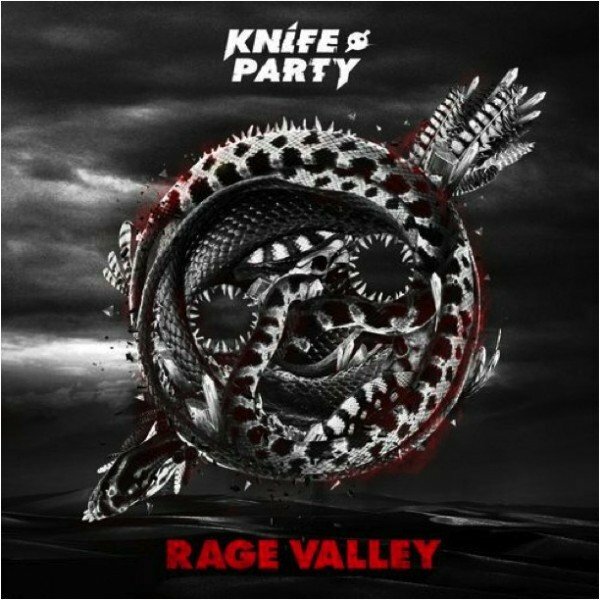 However, after listening to their second EP-‘Rage Valley’, released in May 2012, I began to appreciate their direction away from Pendulum a lot more. 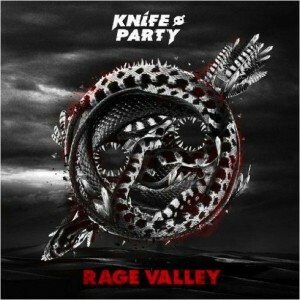 The EP begins with its namesake, ‘Rage Valley’, which I saw as a trailer to the EP as a whole; highlighting Knife Party’s versatility and foreshadowing what was to come. Next up is ‘Centipede’, and it doesn’t get much better than this track; a nature channel style introduction foretells the aggression to come, and the track is a blazing show of angry bass, synths and lasers. I was seriously impressed with ‘Sleaze’; to me, the beginning sounds like the Jaws theme tune and the build-up to the first drop is epic. But what I liked most about this track is its ability to make you want to get up and ‘move your feet’. Similarly to the last track of ‘100% No Modern Talking’, ‘Bonfire’ is again reminiscent of Pendulum, and finishes the EP nicely. Now, let’s get one thing straight. There is only one way to listen to Knife Party, and that’s loud. Really loud. The more I listened to them, the more I understood what you have to do to fully appreciate their music. Ignore your love for Pendulum. Swire and McGrillen have gone in a totally different direction regarding the overall sound of their new project, and I for one am definitely looking forward to their next showing. London 2012 has been anticipated by Olympic enthusiasts in Great Britain since its successful bid in 2005. Seven years of waiting and the time is finally upon us; two weeks and two days of life-changing triumphs, heart-wrenching defeats, shocks, surprises, smiles and tears. Countries across the world will be willing on the victories of home-grown talent and nations will stand united in the global togetherness of the Olympic spirit. Now, how to write a song that encapsulates all the varying emotions of such a unique event? The expectations of such a song would be huge; impossible to meet some might say. 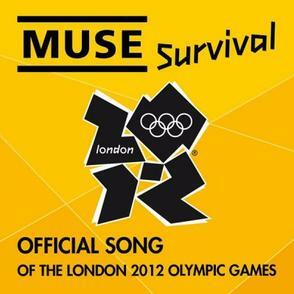 Well, cue Muse’s ‘Survival’, the track which has been adopted as the official song of London 2012, and you will realise that the Olympic committee clearly knew what they were doing. 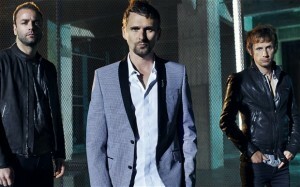 As a Muse fangirl who has loved them since Showbiz in 1999, you may think I would be bias towards anything they release. However, my liking for ‘Survival’ took a while to develop. When it first premiered on 27th June on Radio One I couldn’t help feeling a little disappointed. I thought that the amount of instruments used in unison created a sense of overkill, that they were trying too hard, and that the song seemed disjointed. But then the video was released a week later and my opinion completely changed. Played against a medley of Olympic moments throughout history, the song sends a shiver down your spine. I began to appreciate the subtle nuances and layers of the track; the male choir in the background mixed with Bellamy’s crooning polishing it off as an epic rock anthem worthy of the Olympics. Forbes wrote an article on 28th June criticising the song for flying in the face of ‘the Olympic spirit’s endearing and enduring nature’, stating that ‘Bellamy appears to have a pretty shallow interpretation of the Olympics’, and that it is not the winning that matters; ‘when it comes to the Olympics winning tends to take, um, second place to the Olympic spirit’. I disagree with these statements entirely; the song mirrors the determination and conviction of every athlete preparing for the games. These people have given their life to their respective sports and Muse capture this in their lyrics; ‘Race, life’s a race, And I’m gonna win, Yes, I’m gonna win’. Entering the stadium with ‘Survival’ playing will certainly motivate and inspire competitors to ‘keep up the pace’, ‘stay alive’ and ultimately, ‘choose to survive’.